Beautifully Organised: Our Christmas Tree and Decorations! Our Christmas Tree and Decorations! 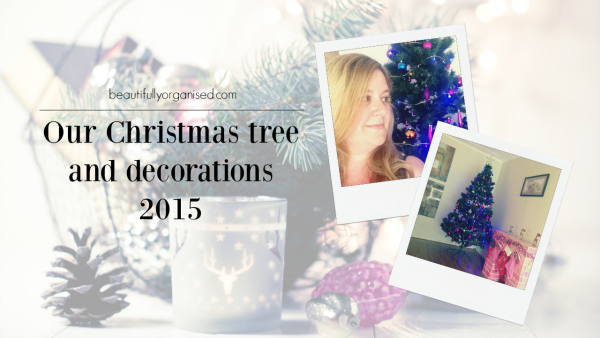 We put our Christmas decorations up today so I thought I'd show you a few pictures! We keep it pretty simple - the tree, the pretend fireplace and then a few decos outside at the front of the house (let me know if you want to see those outside ones). Are your decorations up yet? I'd love to see them - link to your blog below or come over to the Facebook page and show me a picture or two! Credits: This post is not sponsored and contains no affiliate links.